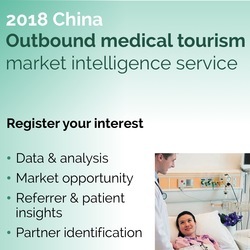 05-Jan-16 Infographic: UK hospitals currently have limited presence in China, while there is rising demand for quality medical services from Chinese patients. The UK is considered a cost-effective destination and the NHS is always a selling point in China. The number of Chinese patients going abroad for treatment reached 40 mn in 2012.